D Subkey to Dolichoderinae . F Subkey to Formicinae . 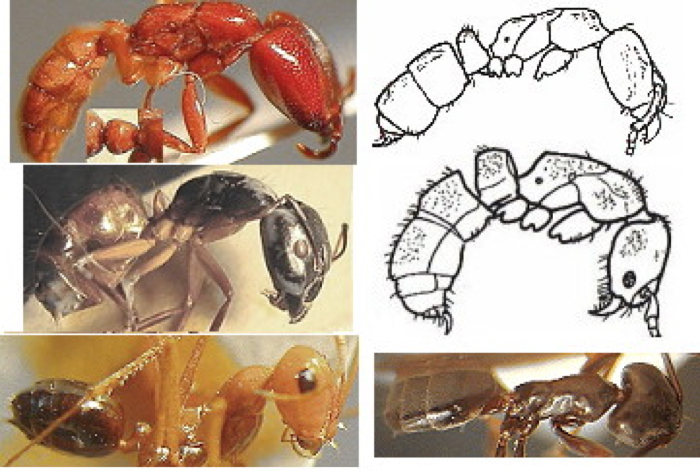 M Subkey to Myrmicinae . 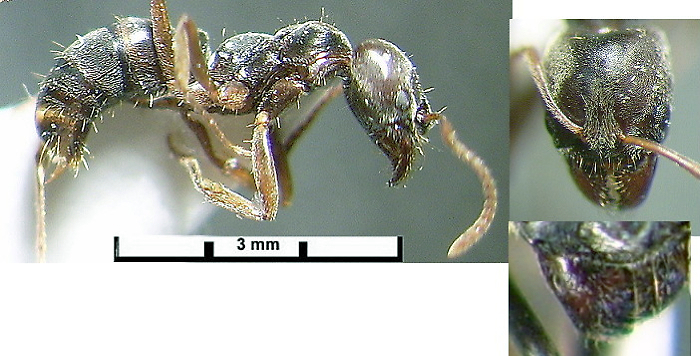 M9 Dimorphic, with distinctive big-headed soldier morph; antennae 12-segmented with 3-segmented club. 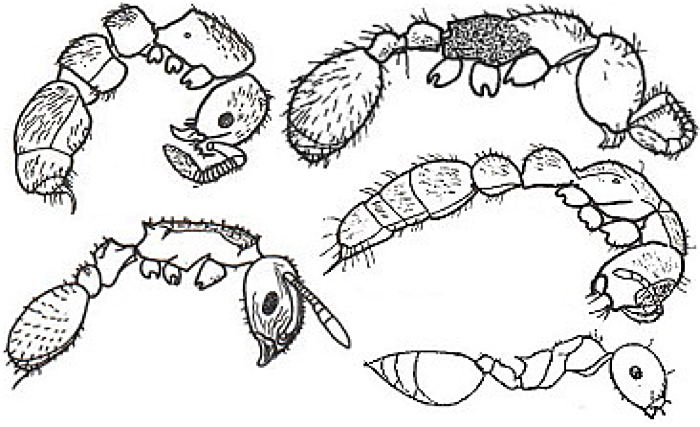 Soldiers with mandibles powerfully constructed, armed with 2 large apical teeth followed by a long diastema and then 1 or 2 (rarely 3) basal teeth; 2 to 4 hypostomal teeth usually present on posterior margin of buccal cavity; palp formula 2,2 or 3,2 and clypeus lacking a long, unpaired median seta on the anterior margin. 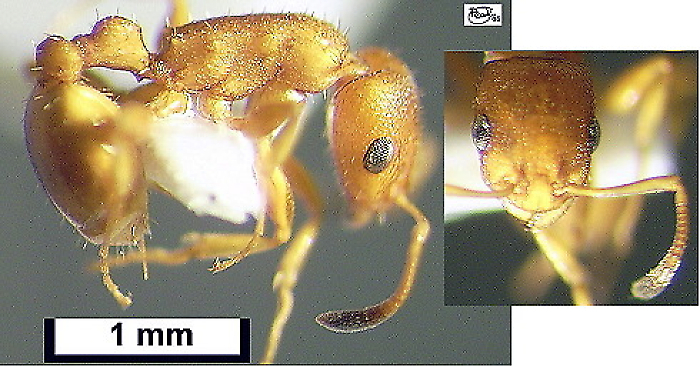 Minors with moderately elongated triangular mandibles, with apical large tooth and a series of small teeth ot denticles. .
P Subkey to Ponerinae .